Iran says it has expressed its protest at the “hasty” reactions of Danish officials to anti-Iran accusations during a Wednesday meeting with Denmark’s ambassador to Tehran at the ministry of foreign affairs. 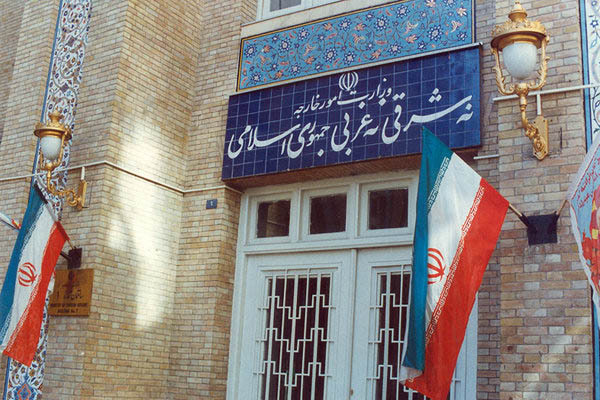 Foreign Ministry Spokesman Bahram Qassemi said the Danish envoy met with the director general of the North European affairs at the Iranian foreign ministry. During the meeting, he said, Tehran expressed its protest over the hasty political reactions of some Danish officials regarding the arrest of a Norwegian-Iranian citizen on charges of plotting to assassinate a person in Denmark. The Iranian official once again dismissed such the biased reports, saying that the allegations are in line with the conspiracies and plots of the enemies of Iran who cannot stand the good and growing relations between Iran and Europe in the current special situation, Qassemi noted. Also, the Iranian official stressed the need for wise management of the developments, warning against the consequences of ill-advised and controversial actions, he added. The Danish ambassador, for his part, said he has been recalled to Copenhagen for some consultations, adding that he would do his best to raise the issue and expectations of the Iranian party with the Danish government. Denmark said on Tuesday it suspected an Iranian intelligence service had tried to carry out a plot to assassinate an Iranian opposition figure on its soil. Afterwards, Swedish security forces announced a Norwegian citizen of Iranian background was apprehended in Sweden on October 21 in connection with the plot and extradited to Denmark.